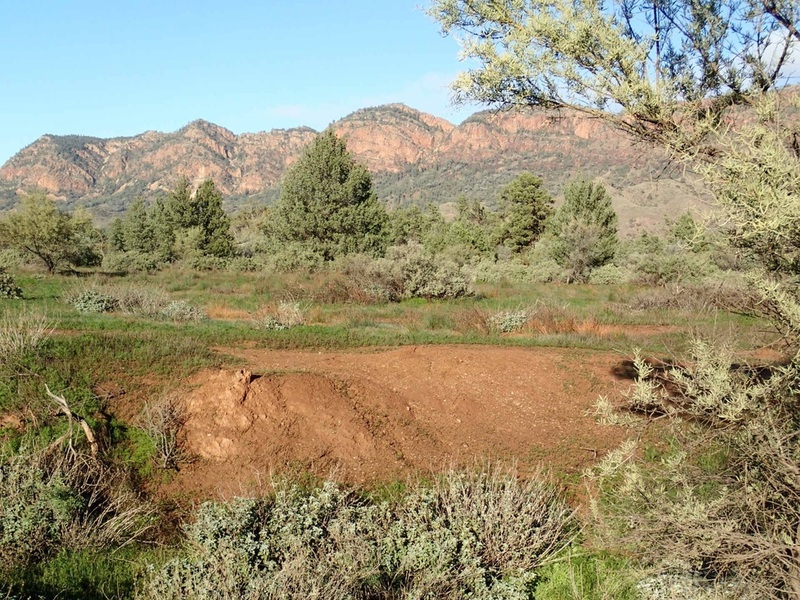 Aroona Ruins - is about 45-60 mins from Wilpena Pound (and therefore roughly around 6-7 hours from Adelaide). 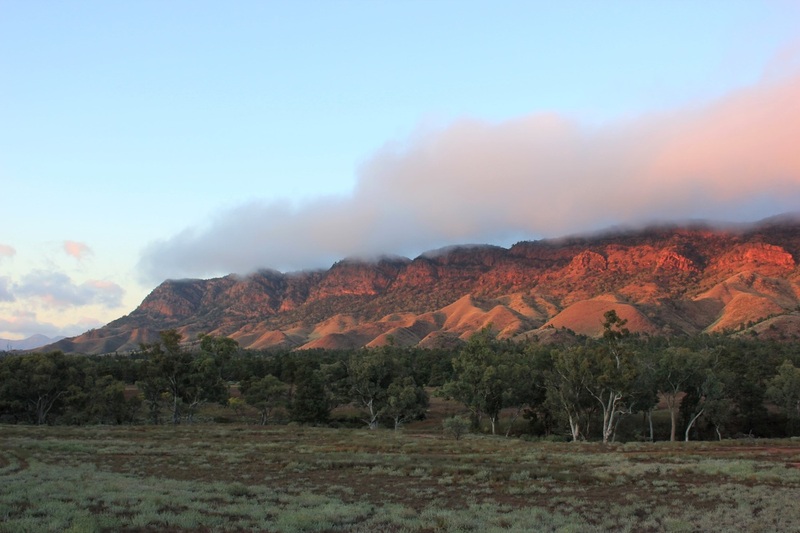 To get there you will need to go past the Wilpena Pound Resort and access it via the scenic drive that takes you through Bunyeroo and Brachina Gorges. Access is also possible via Blinman. Dirt roads all the way on the scenic drive and into the campground itself. 2WD cars can make it in fine, dry weather, though it can be bumpy and depending on the way you go, you could have water crossings so be prepared. 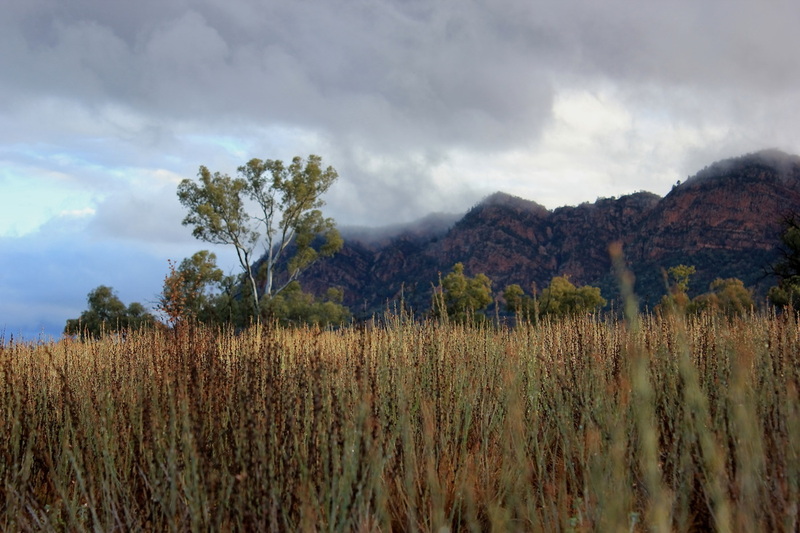 Check at the Wilpena Pound Resort if you have any concerns about you and your vehicle being suited for this trip. If it's been wet, some roads may be closed. Check before heading this way, especially if going via the Gorges. 4WD will be required for the trip if there has been rain. 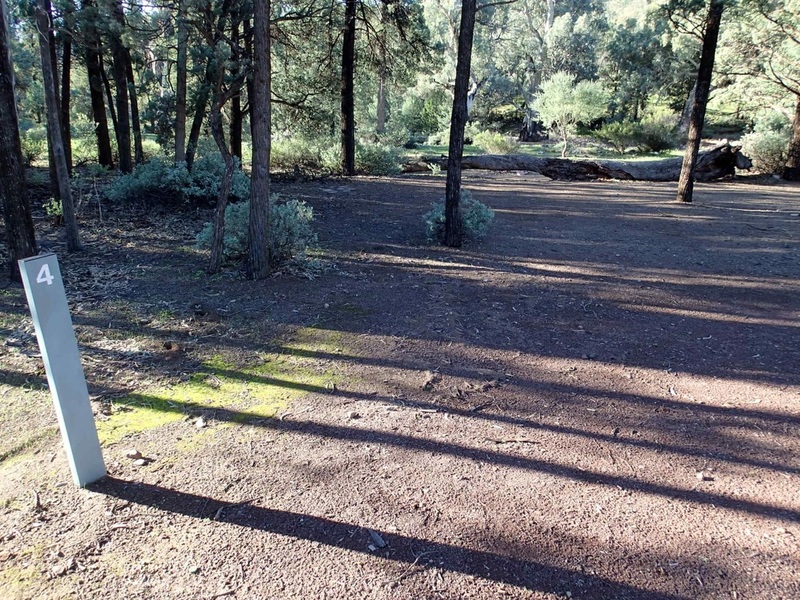 Campsites are well spread out and offer a fair amount of privacy between them. Most have fire pits already there. No wood collection, so you will need to bring it with you. 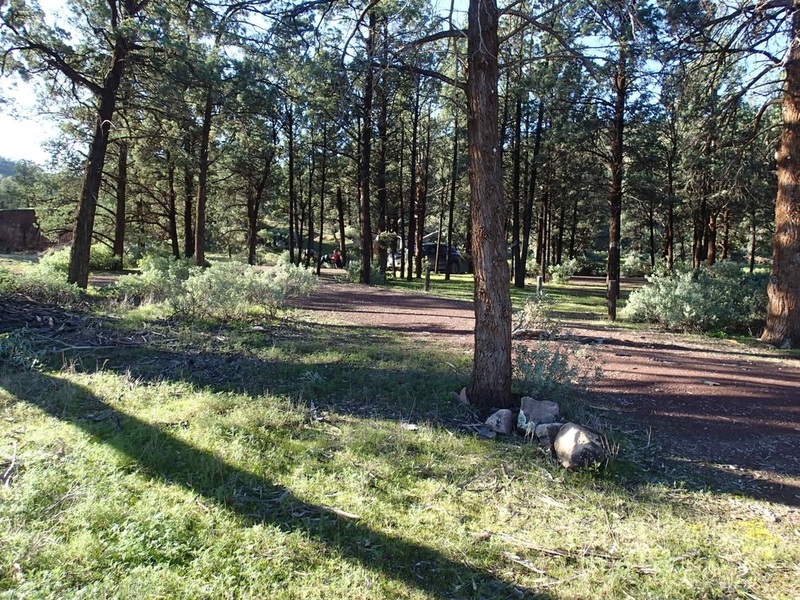 Campsites are quite large, and room for caravan and trailers in many of them. You would probably want to have offroad caravans and camper trailers for this trip, though its not mandatory. There is good shade provided by trees, and this shade would be needed in summer, as the heat would make it a very warm place to be. Depending on the time of year, it can be beautifully lush or very dry. We have visited in winter and spring, and the difference between these two seasons is very pronounced. 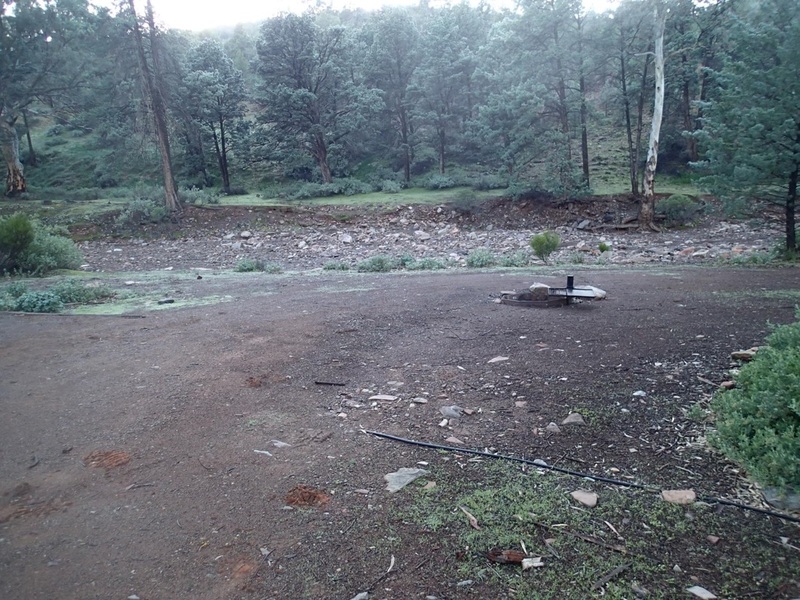 But yet to see any water in the creeks near the campsites. I would not recommend the Flinders in summer months due the heat. The flies can be atrocious!!!! They become more problematic from October onwards. Repellent makes no difference! 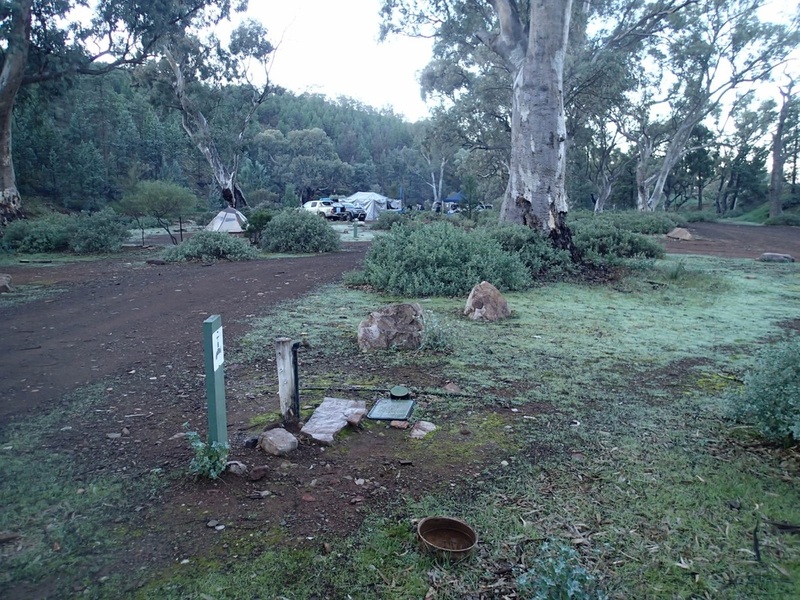 Some campsites are a bit further from the pit toilets, and some of those campers used chemical toilets. We situated ourselves within walking distance to the available pit toilets. 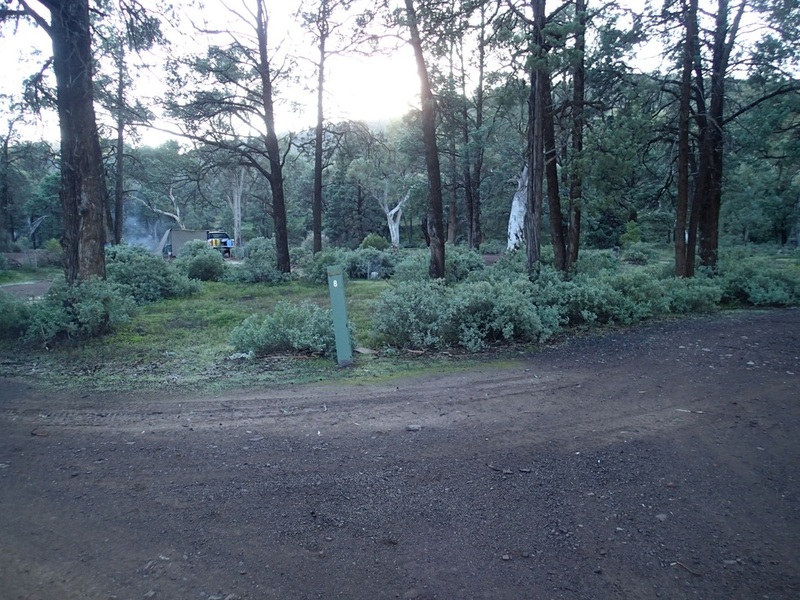 This is a first in, first served campsite - no bookings. Self Registration is required. There is the National Park entry fee and then the camping fee on top of that. At time of writing, it was about $12 per night for a vehicle (camping fee only). No generators or dogs allowed. There is drinkable water on tap. 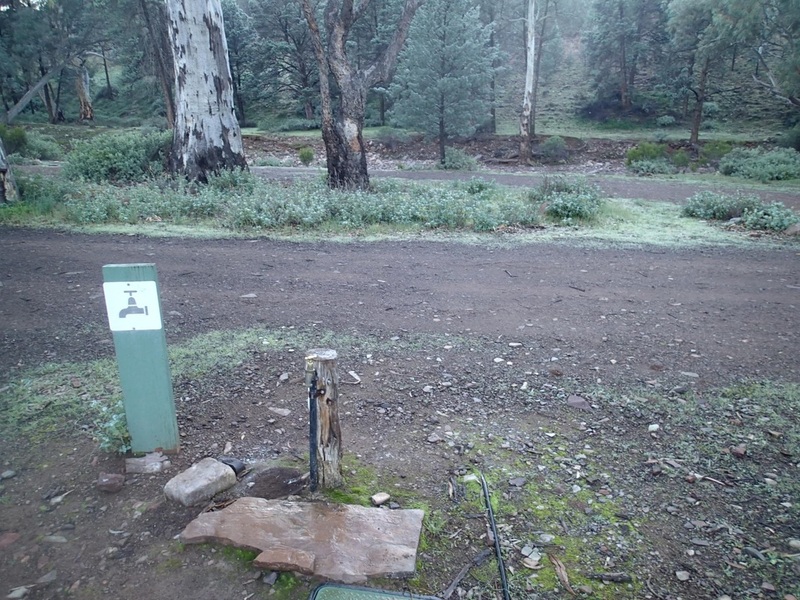 Pit toilets are located in the campground, but can be a distance from where you camp. 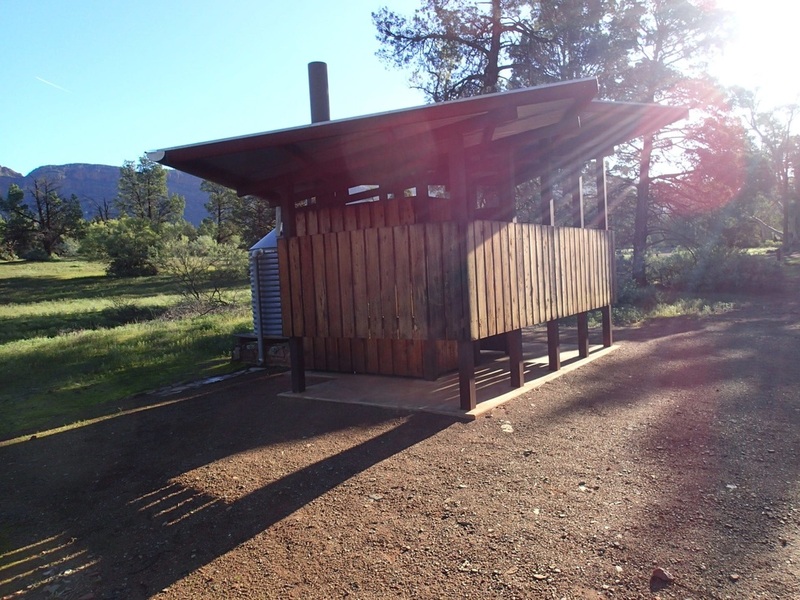 It may be handy, if you have the option and space, to bring your own chemical toilet. 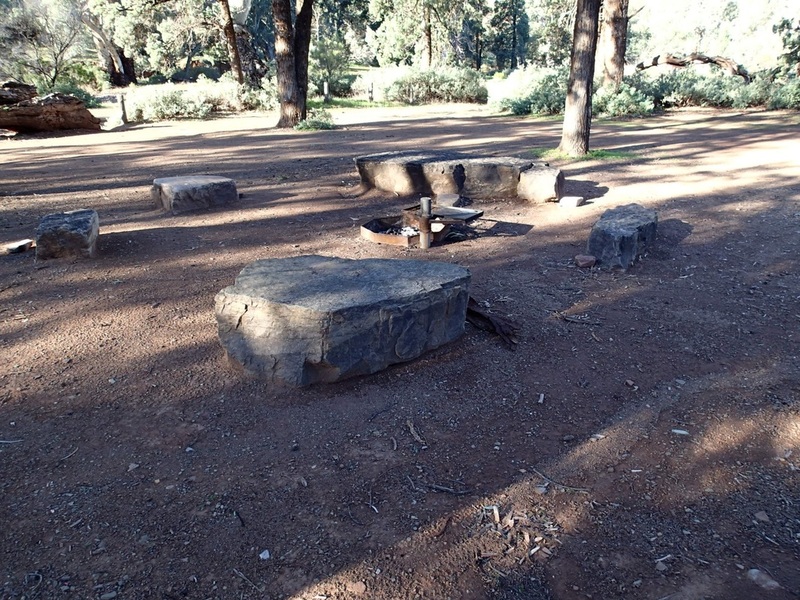 Fire pits are at many campsites but as mentioned, BYO wood. You are also a fair way distance from any shops, so come fully prepared for your stay. There is no quick trip to get ice or something you have forgotten! 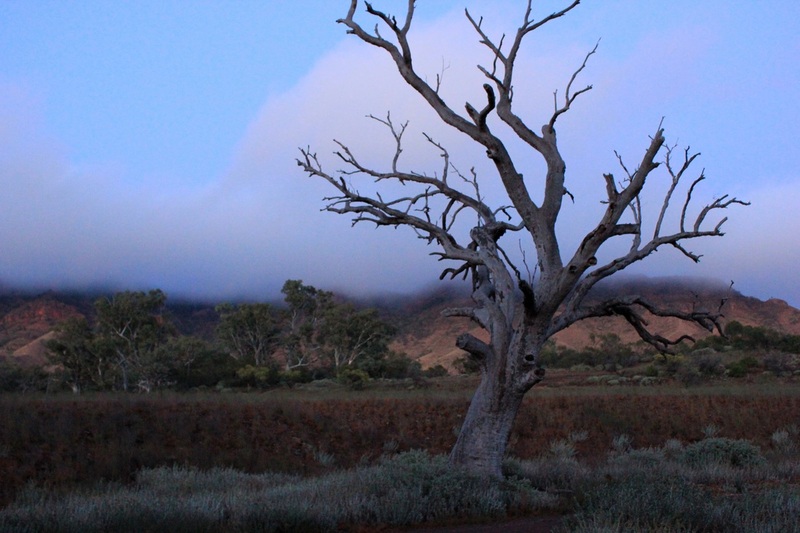 There are many beautiful walks leaving from the old Aroona Homestead. Most walks start at this point (which is about 5 mins from the campground). 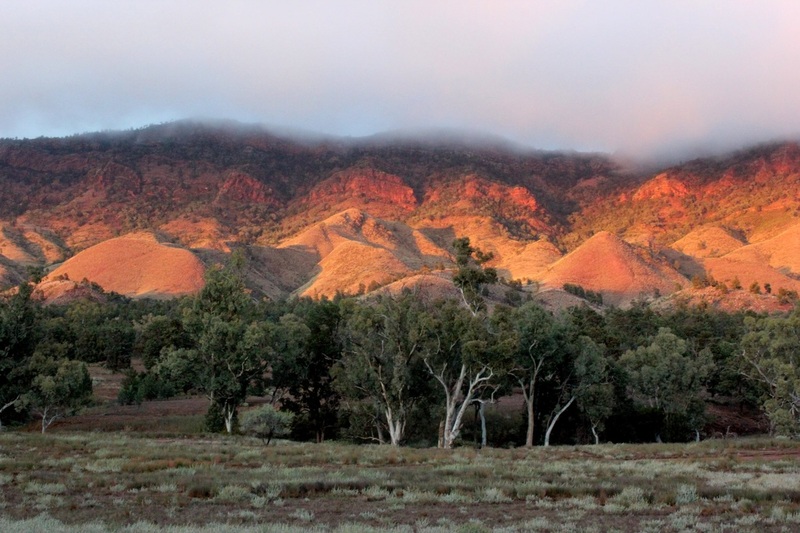 The Yulana Hike which is an 8km circuit walk is a good one for the family. 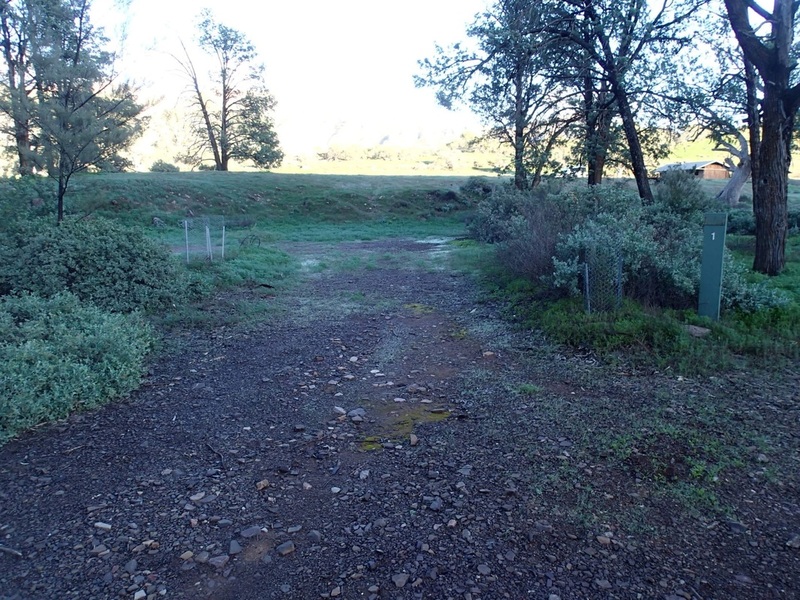 It takes you through a variety of landscapes and terrains and to be on this walk when there is water in the creekbed is something we would love to see. The walk is generally flat terrain, but a few narrow, steep-ish climbs. It would take about 4 hours to do with children. 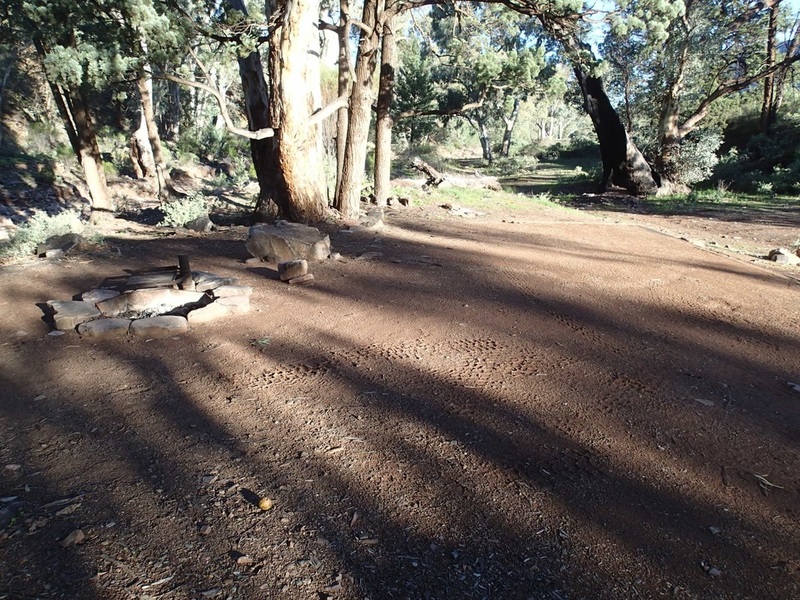 Another great walk to investigate is the one which takes you to the place where Hans Heysen apparently liked to have a beer at the end of the day!! You leave from the campground and it would take about 30 mins to reach the top of this range. 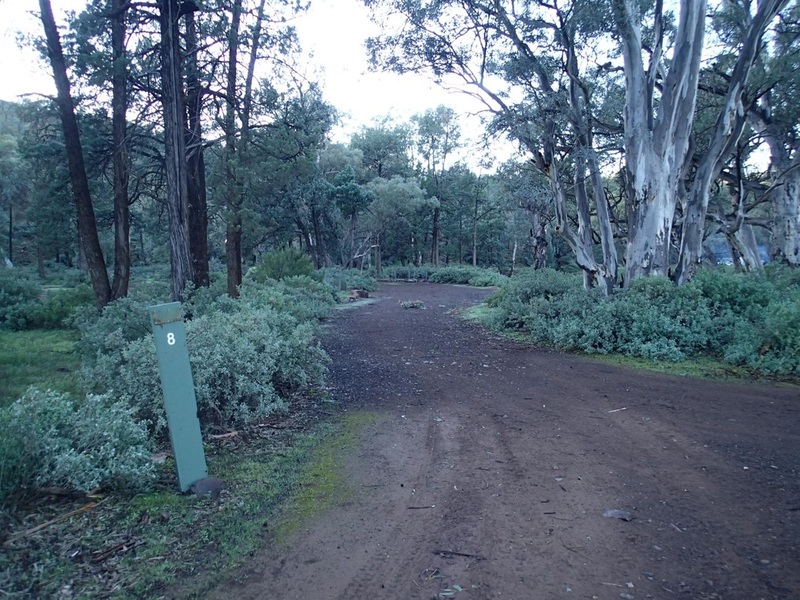 It is a signposted trail that leads off the Yulana walking trail (near the final stages of it). We did this on a separate day to the Yulana Hike, as it was all uphill and everyone was a bit weary. A picnic lunch at the top of this hill, looking over the Aroona Valley was a great way to end the walk. 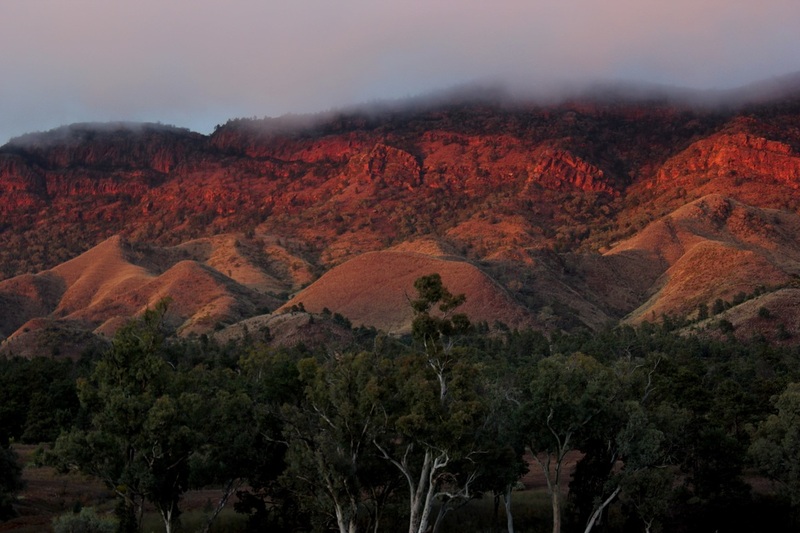 The climb is well worth it, to see the ABC Ranges and Heysen Ranges, and we now know why Hans put in the effort to climb it.